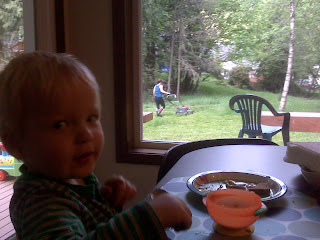 The Crocheron's Blog: Eating Mom's homemade soup and watching her mow the lawn. The men have it so good! Eating Mom's homemade soup and watching her mow the lawn. The men have it so good!